LX PLASTIC, one of Chinese leading manufacturers specialized in plastic industry. LX PLASTIC products are specialized in serving one category: fully Automatic thermoformingline ,including cut-in-mould type, post-trim type . LXPLASTIC brings exceptional, easy-to-use, thermoforming machines into the hands of the consumer. 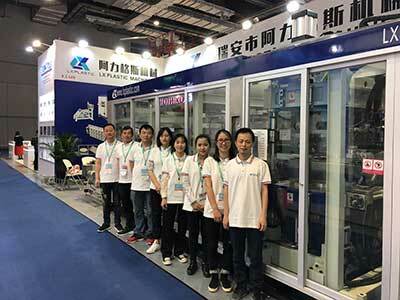 Dedicated engineers, nice service and leading edge manufacturing techniques combine to produce the best quality thermoforming machines available to customers. LX brand thermoforming machines are automatic sheet-fed systems for the production of blisters and clamshell packages as well as trays, disposable containers for packaging of consumer products, appliances, electronics, construction, hardware, cosmetics, food, toys and automotive accessories. LX thermoforming machine produces high quality plastic packages from polymers including HIPS, PP, OPS, PET and PVC, with form, cut-in-place(triming) and stack in one automatic system. LX Plastics' thermoforming machines are dependable and economical, easy to run and ensure perfectly identical formed products. Our advanced machine design combines three steps (forming, triming and stacking) into one operation, resulting in excellent clarity, detail and sparkle of the finished products R&D and Engineering have been at the heart of LX PLASTIC's business since its beginnings. In addition, connections with both plastic sheet manufacturers keep LX PLASTIC up to date with all technical in the marketplace. Today, the company enjoys more and more domestic traders, and international importers.